From our law office in Riverside, California, the attorneys at J. Lewis & Associates, APLC, are here to help you protect your rights and entitlements, and increase your chances of obtaining the full amount of compensation you deserve for the injuries and losses you suffered as the result of someone else's negligent, careless or unlawful actions. Our commitment is to fight hard on your behalf to help improve your chances of securing the finances you need to cover your medical bills, lost wages and other damages. Along with wanting to help you recover the money you need, we also want to help you save money, and our law firm offers $500 off on our attorney's fees if you mention our website in your consultation. 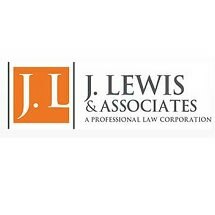 At J. Lewis & Associates, APLC, we have developed a stellar reputation in our legal community. We have also earned many positive reviews from our clients as a result of the personalized service we provide and our success at helping our clients achieve the results they seek. To find out more about how we can best serve you and your family, you can contact our law office or visit our website to schedule a free initial consultation. Se habla español.